Masterful custom made works of horse art that will sweep you away with extraordinary visions of painted equine beauty & divine love. Beautiful horse portraits that speak to the way your horse makes you feel: free, loved, and full of possibility. Horses remind us that the world is a wonderful place and that together we can make magic happen. Exquisite horse portraits for incredible people like you who know that the barn is a sacred place and that heaven is where the horses are. Commissioning a horse portrait to bring the magic of being with horses to your home or office is a wonderful way to express who you are deep down and lift up your spirits every time you see your amazing artwork. Custom horse portrait commissions start at $1,975.00, with an average project fee of $9,975.00, and bigger more complex projects coming in around $19,975.00. Fill out the form below to make the first step in having your custom horse art created. What's your horse's formal name? What's your horse's barn name? Tell me a bit about your horse's background. Do you know how old your is? Tell me what your horse is like. What do you love most about your horse? How Did You and Your Horse Meet? Horses find us in all sorts of ways. How did your horse find you? Looking forward to talking with you soon about your horse! Curious about the horse art commission process? 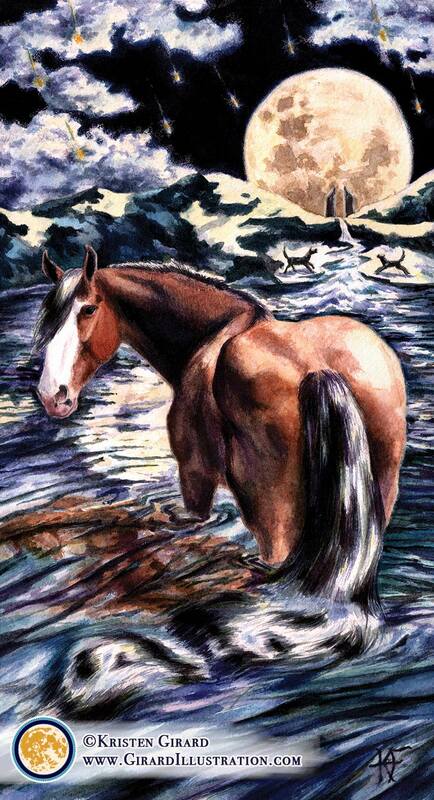 Let’s talk and I’ll walk you through the easy steps to getting your custom horse art made. Book your horse art consult now.